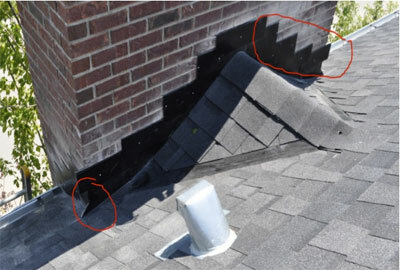 Chimney flashing must be properly installed to prevent expensive leaks. 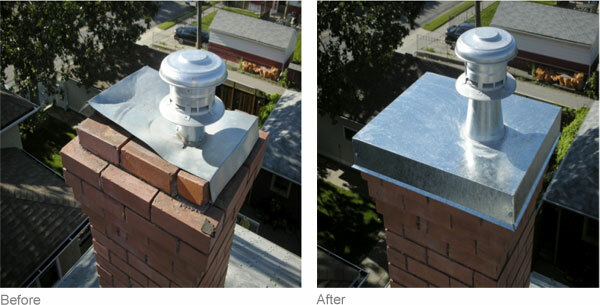 When chimney flashing is installed correctly, it creates a countering system, where everything overlaps in the right direction to create positive water flow that uses gravity to draw water down and away. There are essentially 5 types of exteriors used on chimneys: brick, vinyl siding, wood board, stucco and cinderblock. Contractors installing chimney flashing must be experienced in working with each type because it is extremely important to properly tie the chimney flashing in with the exterior finishing. 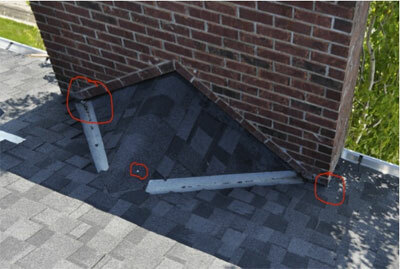 If the chimney flashing is not tied in properly, your waterproofing system may fail. If you have a brick chimney: Ensure that the counter-flashing is mortared in on the outside of the brick. If your chimney has vinyl siding: The chimney flashing must be tied into the building envelope or water will enter the ventilation holes drilled into the vinyl. If you have a wood board chimney: Again, the chimney flashing must be tied into the building envelope in case the wood cracks and splits. If your chimney has stucco on it: The stucco must be redone when re-flashing is done. If you have a cinderblock chimney: Ensure your contractor understands how to use gumlip, a complex counterflashing required to create water shedding with this type of chimney. This chimney leaked even though it had a brand new roofing system. The cost to the homeowner to repair this was considerable. There are no valley exits drawing the water away from the danger zones because the flashings are buried underneath the brick and cannot be serviced, repaired, or replaced. A proper valley exit and flashing installation has been added to the exterior where it can be properly serviced, repaired, or replaced. This chimney will last 30 years with no more water penetration. Flat stock metal with silicone, compared to custom made and soldered cap.